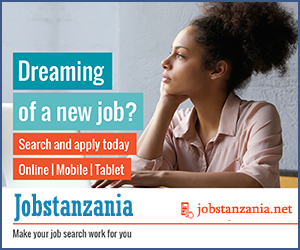 Manchester United is Certainly not the best team in the Premier League this season, and Jose Mourinho will be thankful that it was a different Totehnah Hotspurs team that turned up at Old Trafford today. We all know that Jose Mourinho's men have had a frustrating start this season and they are curently at the 6th position after drawing four of their last five games, but they can close the gap on Spurs to just three points after their narrow victory of 1 - 0 at Old Trafford. All thanks to Henrikh Mkitaryan who gave united the lead that their performance deserved, before going off injured in the second half. Paul Pogba almost gave United the perfect start in the second minute but Hugo Lloris made superb save to prevent his side from going behind early. In the 19th minute David De Gea was called into action, making a brilliant save from Christian Eriksen’s well-taken free-kick. 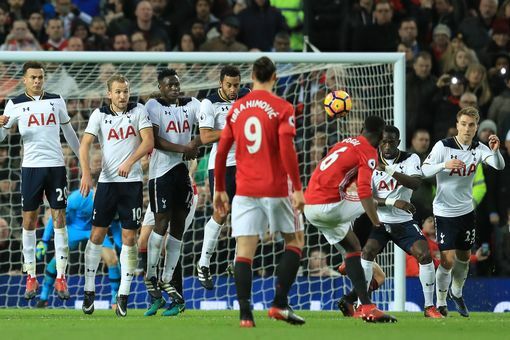 Lloris denied United another goal opportunity by saving Ander Herrera’s header after Jan Vertonghen had blocked Mkhitaryan’s shot. 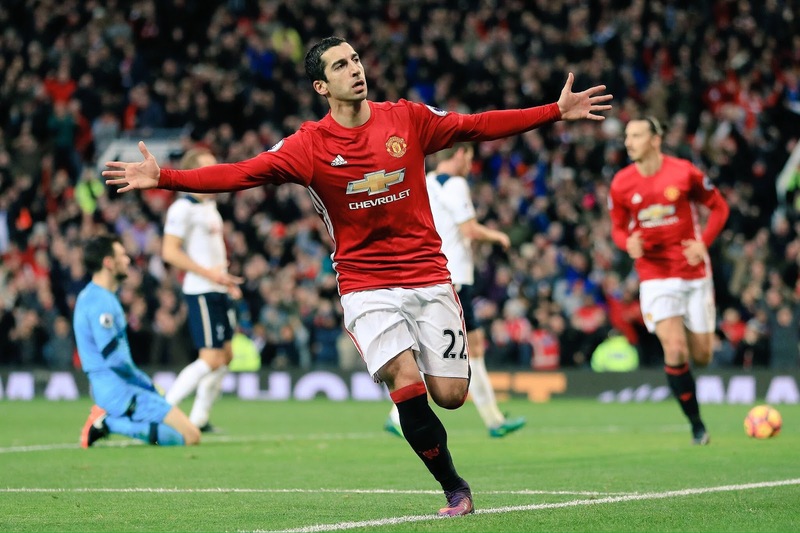 Mkhitaryan goal on 29 minutes after he ran on to Herrera’s pass and finished emphatically past spurs goals keeper Hugo Lloris. With 11 minutes remaining in the first half Zlatan Ibrahimovic went close for United off Antonio Valencia’ s cross but Lloris made a smart save. In the 36th minute, Heung-Min Son’s swerving effort from the edge of the box was palmed over the bar by De Gea. Spurs had a wonderful chance to equalise through Victor Wanyama on 59 minutes but he couldn’t direct his header off Eriksen’s free-kick towards goal despite being left unmarked. In the 63rd minute Pogba hit a brilliant free-kick which crashed against the crossbar. Eriksen had another chance to draw Spurs level from a free-kick but his effort was well saved by De Gea. With five minutes remaining Mkhitaryan was staken off injured following a foul by Danny Rose and was replaced by Eric Bailly.